Plant portraits such as these, by Sonoma County artists Nina Antz (left) and Elizabeth Peyton (right) are featured in the current exhibition at the Marin Art and Garden Center. 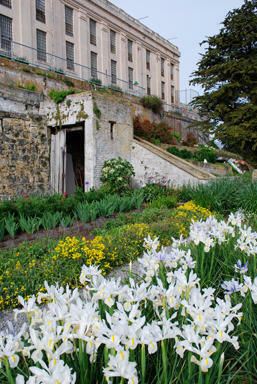 For a dozen years, volunteers have been working diligently to restore the historic gardens on Alcatraz Island. 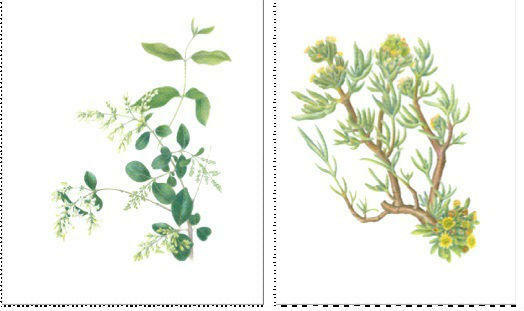 Now the results of those efforts have been documented in a series of details, full-color drawings by dozens of botanical artists. The idea for the florilegium arose in 2012, explains Sebastopol artist Nina Antze, when another artist took some visitors to see the historic island prison, which is now a national park site. The original art from the Alcatraz florilegium is are currently on display at the Marin Art and Garden Center in Ross, through Nov. 13.